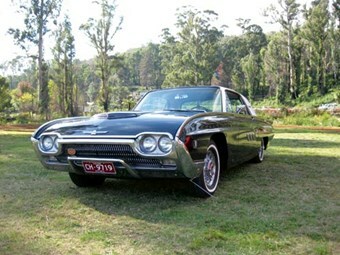 I can honestly say my T’bird has spent more time in pieces over the past nine years of ownership than as a complete car. For 19 months she sat in my garage stripped of her interior after what started off as a "simple interior re-trim". I then proceeded to pull out the dash pad and have that restored, followed by having all the dash fixtures stripped and powdercoated, and the list goes on and on. Over time, my level of expectation has changed from my previous plans for the car, which where to change that broken antenna and cruise the roads of Melbourne. How things have changed. I turned my attention to the stainless interior trims on my car, having them re-polished to perfection even though they were still in excellent original condition. Slowly parts came off the old bird from the inside out! After discussing the progress of my car with "Uncle Phil", he insisted I give the old girl a cosmetic freshen-up while she is dissasembled to save doing things twice. 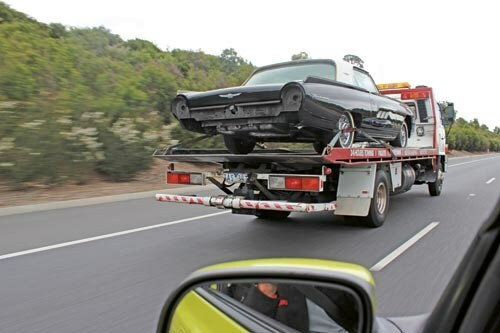 My ’63 was a clean, tidy car, and I wonder sometimes why I started pulling it apart, but I really would like to see her looking just as she left the factory. Listening to Phil’s advice, I had my good friends Neil Deane and Francis Paul help remove the stainless trim and rear bumper bar on the car (thanks, gents!) 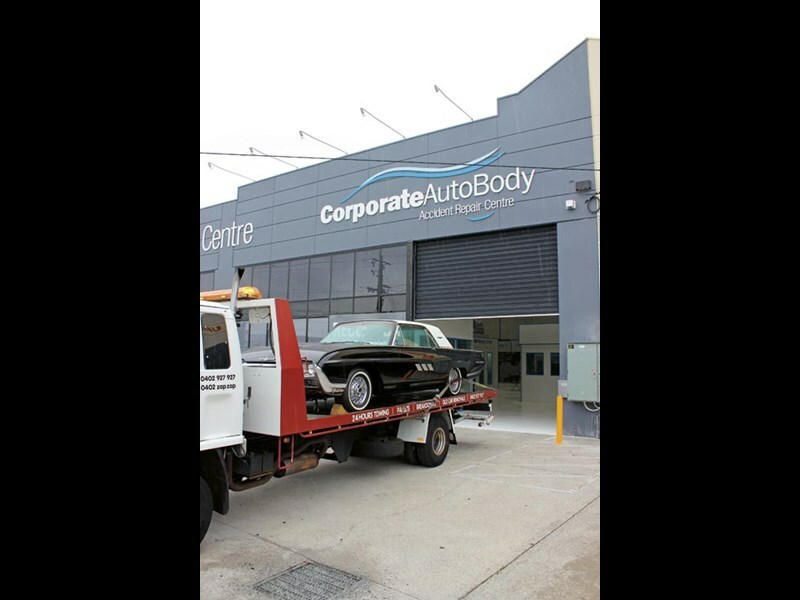 and I sent my pride and joy to Chris and his team from Corporate Auto Body in the Melbourne suburb of Thomastown for some TLC. I had been absolutely gobsmacked with the quality of work the team at Corporate Auto Body did on our former Unique Cars LJ XU1 Torana giveaway car, so they were my first choice when it came to paint and panel work. Hopefully she is back in the shed soon. I miss her already!